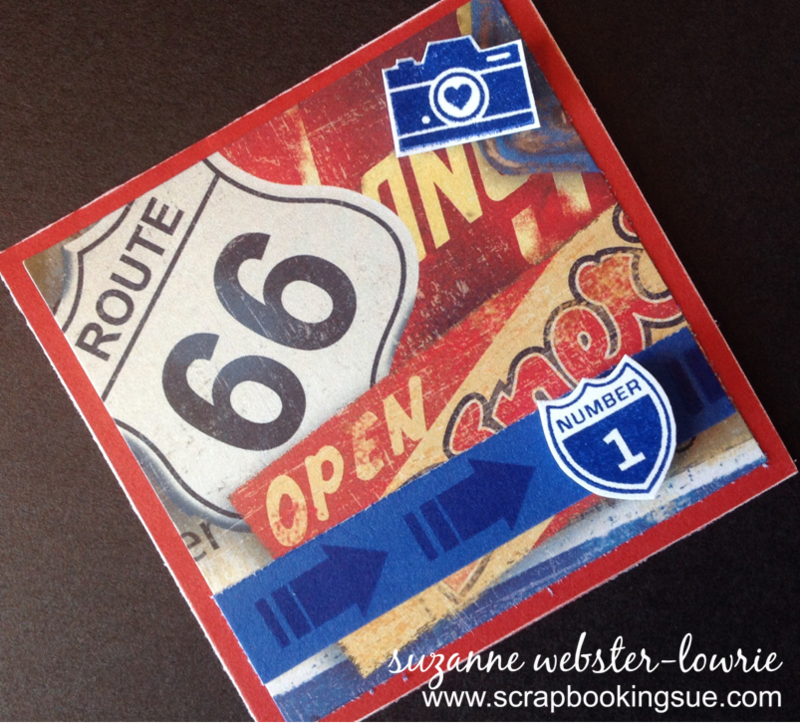 Using Cranberry cardstock as the base of the card, I layered it with a patterned piece of “Route 66” paper. The blue strip of cardstock was also from the paper packet… it is a retired color called Moonstruck. 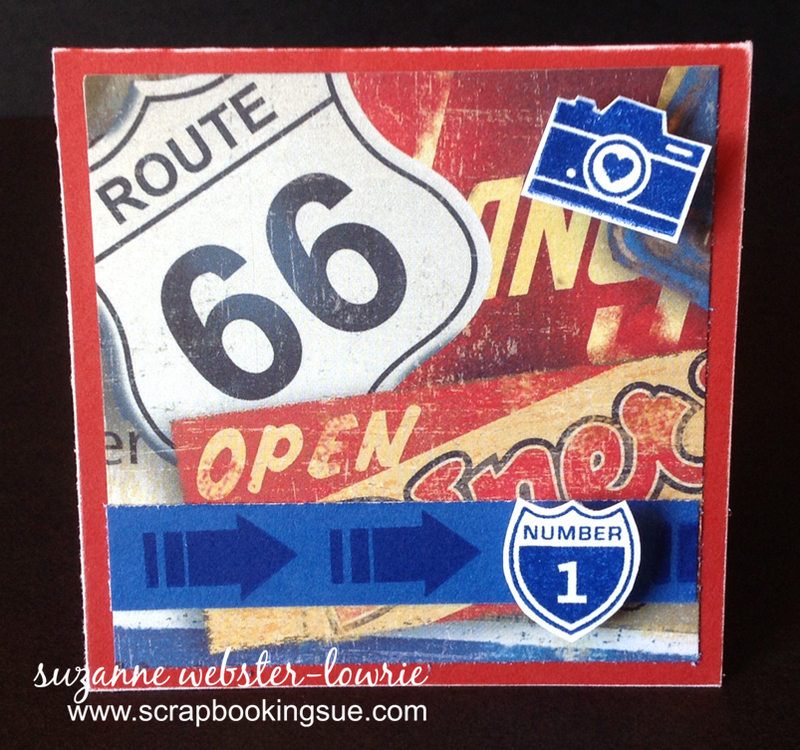 Using Moonstruck ink, I stamped the “Number 1” sentiment, the camera, and the blue arrows. 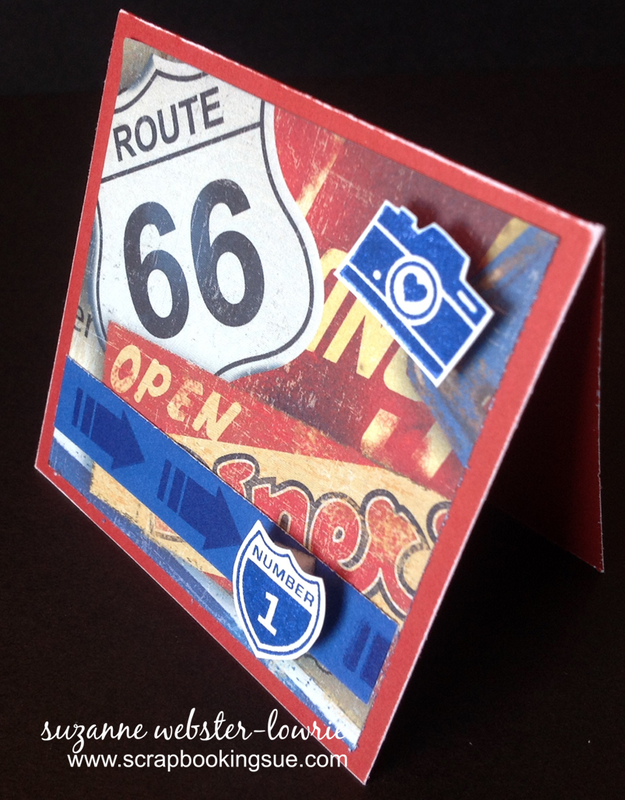 The sentiment and camera were popped off the paper with foam tape for some extra dimension. I love the vintage look of this card! ONLY 2 DAYS LEFT!! When you spend $30 on current, retail-priced stamps, you will receive this set of 30 mini stamps for FREE! This offer is only available until September 30, 2014. This is a great way to build your stamp collection by getting this very versatile set for FREE!